The Special Tucson Dinner Show Downtown! A Magical Theater Show Downtown Tucson! Whether you're on a date or out with family & friends, national award-winning entertainers will have you laughing & celebrating with their up-close & intimate show. Carnival of Illusion guests rave over the show as it creates priceless memories with Vaudeville-inspired illusions. 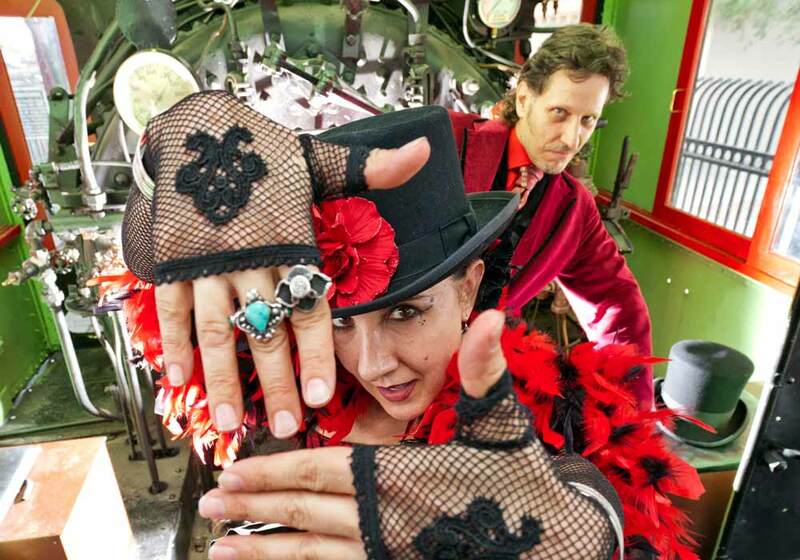 Carnival of Illusion is Magic, Mystery & OOOH LA LA! There are two shows a night, so you can plan on an early or late dinner! 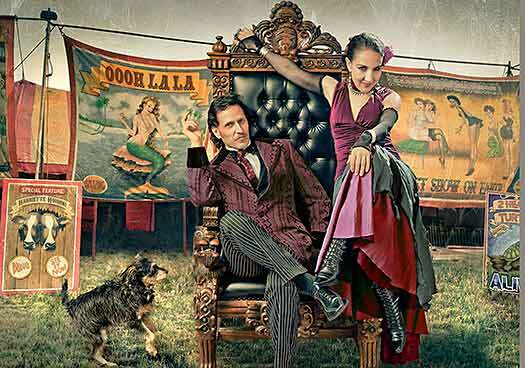 Carnival of Illusion offers a great night out, whether on a special date or with the whole gang. Although this downtown Tucson event is not strictly speaking a dinner show, it is only minutes away from a whole list of dining options. Maybe sushi is your thing or Mexican, Thai, bistro or vegetarian. The Tucson downtown core is host to all these choices and more. Carnival of Illusion has two show times. The early show at 5pm is for those that prefer to eat a little later and take their time having dinner. If dinner and then a show is more your cup of tea, then the later show at 8pm is perfect timing. The show itself is a fun-filled 100 minutes of laughter, mystery and fun, so make your dinner plans accordingly giving yourself plenty of time for parking, checking in and being seated. We also recommend restaurant reservations, especially if coming to our late show. You don't want to find yourself standing in a long line for dinner and thus being late for the show. Our shows start on time and seating is only guaranteed up until show time. Latecomers will be seated at the discretion of our parlour hostess and seat locations are subject to change or cancellation. Think back to those decadent Romans, reclining on couches and eating their sumptuous meals while being entertained. Dinner show you ask? In a way yes. But the heydey of the true dinner theater came in the 1970s, when dining and seeing a play was all the rage, even though the idea was around as early as the 1950s in the good old USA. Many dinner shows featured old movie stars during the heydey in the 70s, when there were as many as 147 theaters in operation. It wasn't long though before operation costs etc. prompted the decline of the once popular dinner theater. One specialty type of dinner theater called the Madrigal Dinner often occurs during the Christmas season. It includes several courses of food and Medieval music and a play. We at Carnival of Illusion think a Tucson dinner show is a great idea because we all love to eat, laugh and have fun, all in one night! Our new location in downtown Tucson gives our guests a wide variety of dining options that are all within a short distance of our venue at the Scottish Rite Building on Scott Street. Carnival of Illusion - FIVE STAR entertainment! What a magical evening! The illusions performed by Susan and Roland were mesmerizing. Thank you so much for a wonderful evening. We will definitely be back with family and friends. It was great. I was truly amazed and in disbelief. Still need another fix of more Tucson things to do?